Sycophant, artist, architect, and author of the Lives of the Artists, Giorgio Vasari (1511–74) was the source for much of the information we have on the history and personalities of the Italian Renaissance. He was also in many ways the first professional philistine. Born in Arezzo, Vasari's cousin the great Umbrian painter Luca Signorelli encouraged him to take up art. He was brought to Florence at age 16, where his idol, Michelangelo, eventually befriended him and introduced him into the circle of a painter whose technique Michelangelo admired, Andrea del Sarto, although the relationship seems to have been rocky; Vasari wasn't kind to him in his gossipy biography. Vasari spent much of his career covering empty walls for the Medici, especially for Grand Duke Cosimo I, who had him paint over Michelangelo and Leonardo's famous but unfinished battle scenes in the Salone dei Cinquecento with his massive Battle of Marciano in Valdichiana... preserving, perhaps, the originals out of respect (see the Palazzo Vecchio). He began the frescoes in the cupola of the Duomo, and was put in charge of renovating the city's two great medieval churches, Santa Maria Novella Santa Croce, usually to the detriment, if not the whole scale destruction of their great medieval fresco cycles, with no respect at all (regrettably he particularly seemed to have had it in for Andrea Orcagna). 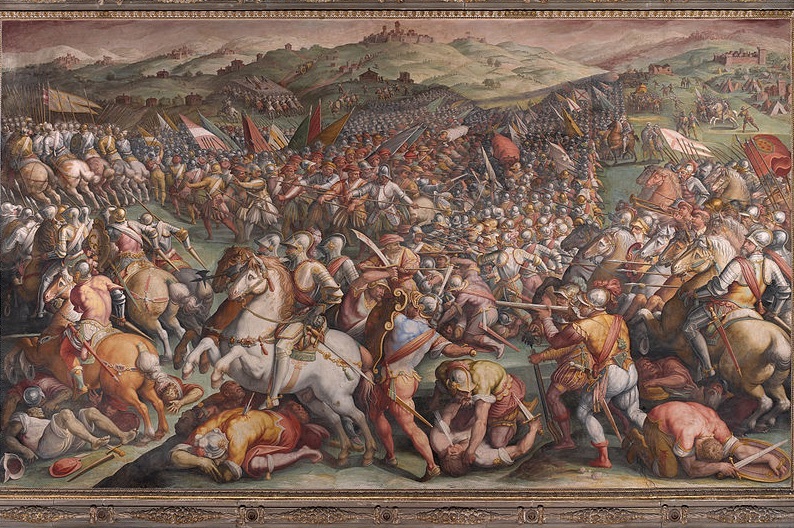 Besides designing the Uffizi, Vasari's big moment came in 1565, on the occasion of the marriage of Grand Duke Cosimo I's heir, Francesco de’ Medici to Johanna of Austria, daughter of Holy Roman Emperor Ferdinand I and Anna of Bohemia and Hungary. 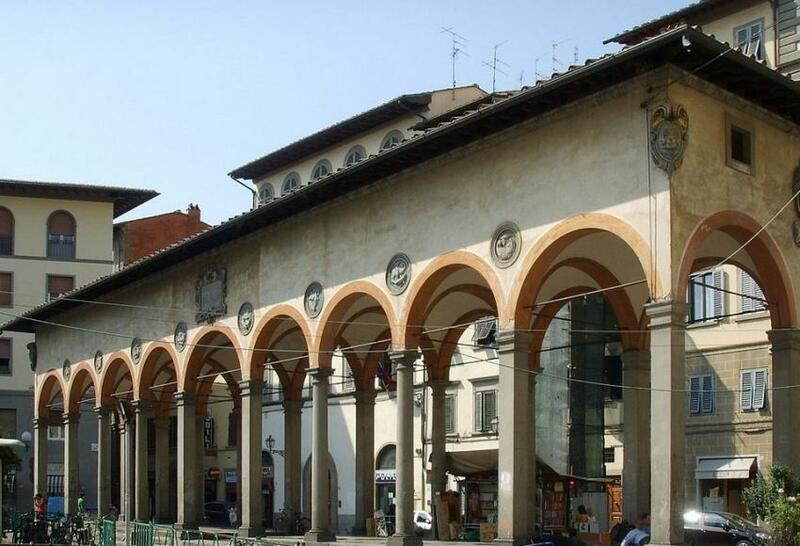 The Grand Duke, keen to impress his son's new imperial in-laws, commissioned Vasari to design the building of the Corridoio and Loggia del Pesce. And that's not all. Recently, after a long period of restoration, his elaborately frescoed home in Florence, has been opened for guided tours on Saturday morning.